1 Where To Get Help? 1.1 What do they help with? 1.2 How do I book a meeting? 1.3 When is the service available? 1.4 What else does this service offer? Here you can receive a 20 minute free consultation for all current students and recent graduates with a career advisor via the QUICK QUERY SERVICE. 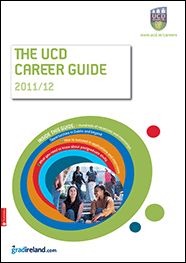 Login via the portal on the careers website with your UCD login details. What else does this service offer?